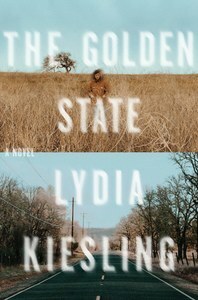 Lydia Kiesling’s debut novel The Golden State is an energetic work of fiction that sharply comments on immigration, identity and modern-day motherhood. Set in California, the story follows 10 days in the life of its resilient protagonist, Daphne, who is fighting to hold her world together as everything around her crumbles. And so Daphne impulsively strides out of her office, retrieves her 16-month-old daughter, Honey, from daycare, and points her Oldsmobile northeast, toward the doublewide trailer she inherited from her parents in the high desert of Northern California. Unbeknownst to her, an anti-government secessionist movement is gaining steam in her family’s hometown, and this already-overwhelmed woman is about to get caught up in the midst of yet more high-stakes drama. 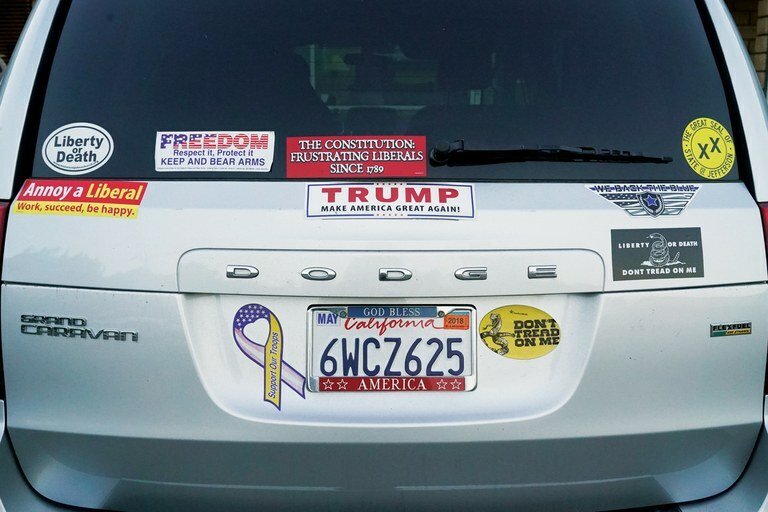 A car outside of a 2017 State of Jefferson meeting in Redding, California. The book offers the reader a chance to compare the seemingly disparate cultures of Turkey, the emerging economy that is home to Daphne’s husband, Engin, and California, a nation-state unto itself. The two places share more similarities than most Americans imagine: Both suffer from random acts of public violence against civilians, and both have leaders with autocratic tendencies. Daphne is shocked by the nativism and ignorance she finds in her family’s community. Though they are kind to Daphne and her daughter, her neighbors espouse insular, xenophobic beliefs. They equate Islam with ISIS, believe that Barrack Hussein Obama is a secret Muslim, and think that the United Nations has a secret agenda to seize control of their homesteads. The truth is that California is a wide and diverse vessel that can hold many ideologies simultaneously. A pluralistic society can be home to both an American wife and a deported Turkish husband, to a baby named Honey Mehmeto˘glu and State of Jefferson secessionists who want to be left alone, to bureaucrats in Sacramento and Salem who send more services to the would-be free state of Jefferson than they receive revenue from. In the midst of all the action, Kiesling carves out small spaces in the novel to describe the California high desert in gorgeous, loving prose. In the end, Kiesling’s novel reminds us that love and family are the only glue that can keep us together, particularly when all else seems lost. She also shows us that home is an emotional bond as well as a physical place, and that sometimes running away from our problems makes us miss the solution that was right there in front of us. Mary Slosson is a writer based in Portland, Oregon. She was formerly a correspondent for the newswire Reuters covering the American West, and has also served as editor of the Telluride Daily Planet in Telluride, Colorado. She is working on her debut novel.